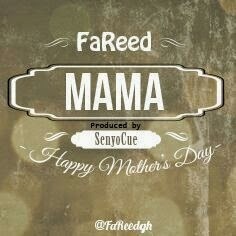 Budding Ghanaian rapper, FaReed the Hip Hop Alhaji has released a new track, ‘Mama’ to mark Mothers’ Day. Although new to the scene, Fareed packs quite a punch in his lyrics and his young journey in rap music. He won Hi-skuul hip hop artiste of the year 2012 and his single BardMan is currently used as a Montage on ‘Gh&Beyond’ and 4syte.